Data is from the September 2015 Catalina report titled "The 2015 Mid-Year Review: How the Top 100 CPG Brands Performed." 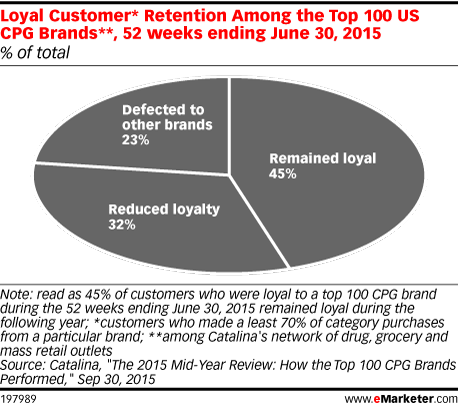 The report examined sales volume and loyalty changes for the top 100 US brands in the Catalina network during a 52-week period ending June 30th, 2015. The Catalina network includes 26,000 drug, food and mass retailers.